The Visa brand is internationally recognised and accepted. The Visa Gold card holder can, therefore, shop, eat, pay for accommodation, travel to quite a few places in the world without having to carry around cash. They can do this by just swiping their Visa Gold Card wherever they accept these cards. One can also withdraw cash anywhere in the world where they see the Visa sign displayed. This way they use the Visa Gold Card for personal use. Apart from the appeal of its international recognition, the card has other benefits and features that the card holder will find appealing. Visa has a 24-hour helpline that is on standby to assist patrons around the clock every day of the year. They train agents on the helpline to block the account within 30 minutes of the report. That is to prevent them from using the card for any unauthorised purchases. They can ensure that a card to replace the blocked one will be sent to the cardholder within three working days. The agents can also arrange urgent cash assistance for the cardholder that can be collected at 270,000 different stations globally. Tucked in, to its almost endless list of benefits, Visa has a travel assistance service linked to the Personal Gold Visa card. This assistance is for matters about medical and legal challenges that one might face while on a trip abroad. In the first year of membership, Gold cardholders qualify for the priority pass at a 50% discount on the membership fee. The period to redeem this benefit this year was from March 2016. That will end on the 31st of December 2017. Other promotional offers on the Personal Gold Visa Card include meal vouchers at Thai Chi Restaurant, White Sands Resort in Mombasa Kenya, 20% off the accommodation bill at the Golden Tulip and other restaurants, travel, spa treatment and retail rewards. The Visa Card also now has the Paywave functionality which enables holders to spend less time at a till. They simply wave their card up to 4mm from a card machine that enbables them to process such a transaction. Their purchase is then complete without needing either signature or pin. With The Personal Visa Gold Card, one can withdraw cash in local currency at any Visa or Visa Plus enabled ATM; this is true for both the Visa Card Gold debit card and the Visa Card Gold credit cards. You can identify these by just looking for the Visa or Visa Plus logo. More than 200 countries and regions around the world accept visa which makes it easy to find such ATMs. Another feature is the Visa Direct function which is available both to send and receive the money. To send money directly to a Visa Gold card, one needs the full 16 digit Visa card number. 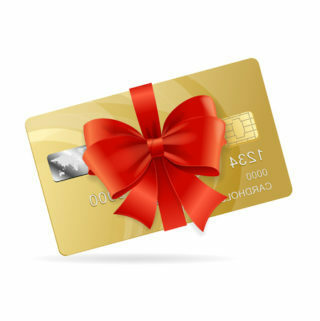 Sending money to a gold card can be done via internet banking, cell phone banking or at an ATM. If the card holder’s bank has implemented the Fast Funds app, funds reflect in the account instantly. However, if they have not implemented it, their bank will take approximately 48 hours to clear the funds.